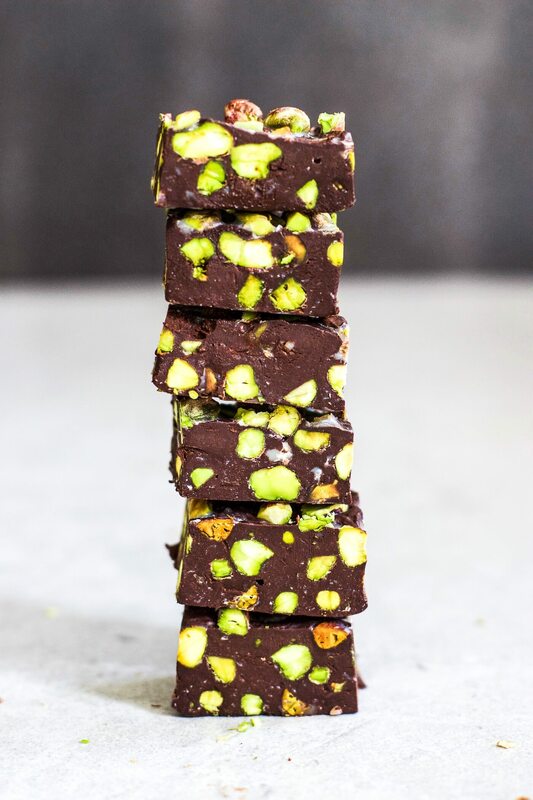 These chocolate pistachio chunks are the best 3 ingredient treat. They only take a few minutes to make and have the most satisfying texture that’s creamy and crunchy all at once. You can use any type of nut but I love how pistachios look and they have amazing flavour once they’ve been roasted. Spread the pistachios out on a roasting tray and roast for about 8 minutes until golden, then set them aside. In a small saucepan on low medium heat, gently melt the chocolate and coconut milk together. Stir gently until smooth. Stir the pistachios into the mixture. Spread the mixture out evenly into a lined bread tin or small baking tin. Sprinkle the sea salt over the top and pop in the freezer for about an hour to set. 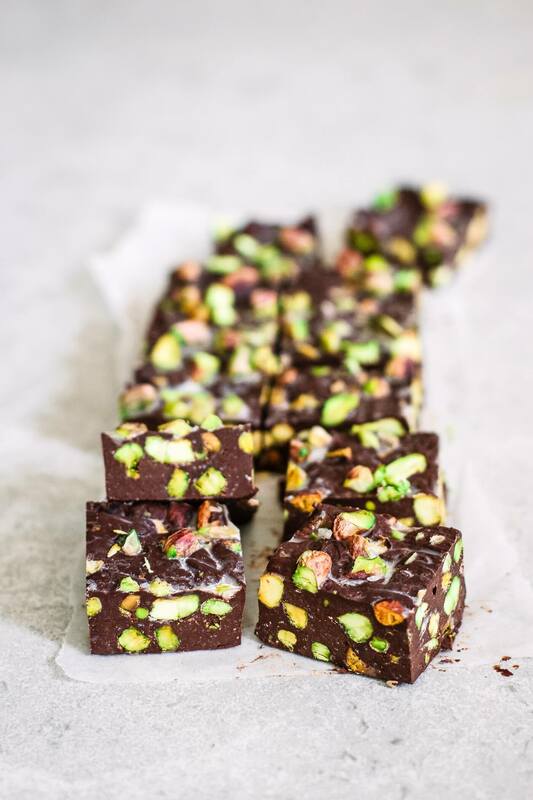 Slice into squares and enjoy! Store in the freezer. I love your recipes and have done so many. I’ve just done these and the coconut milk was so oily and wouldn’t mix with the chocolate properly? Also, was it two thirds of a cup of nuts or 2 to 3 cups. Yes absolutely! They’re great with cashew butter. Enjoy! Different recipe but I have to say that your sweet potato and lentil chili is just delicious. I am looking forward to making these.